After our first highlight of the trip we arrived back at the hotel to get some breakfast and start with our guided tour. Our guide came to pick us up with Progress our organizer. 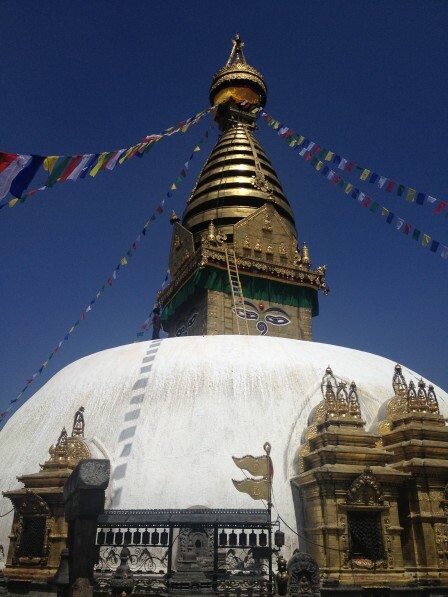 Today we had the Stupa Swayambhunath on the program as our first stop. 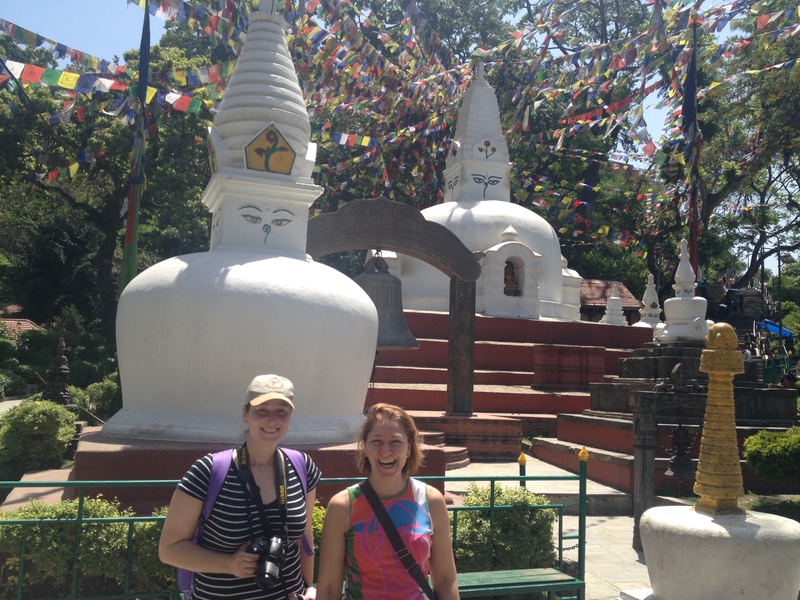 A short car ride later and we got out at the foot 365 steps to explore our first stupa. 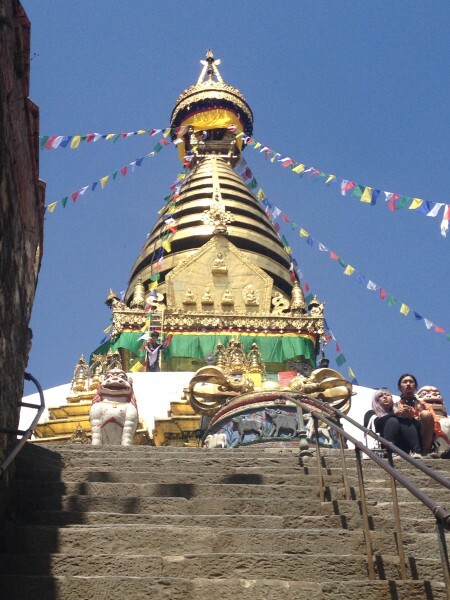 A stupa is closed on all sides and cannot be entered. 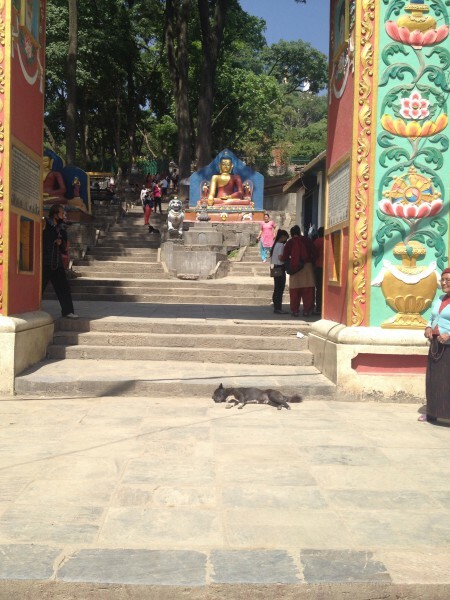 Lots of little monkeys were all around the steps and the stupa. 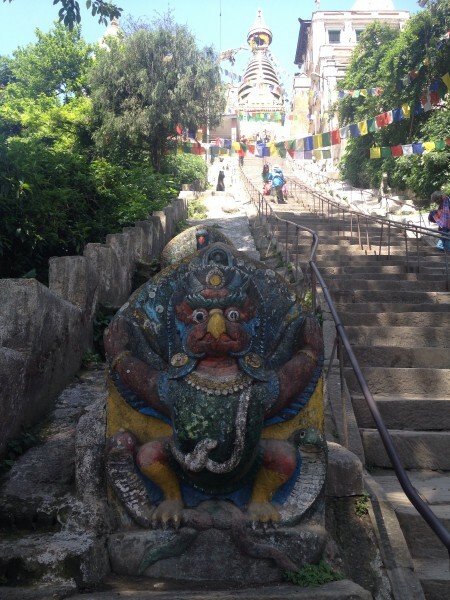 Once up at the stupa we saw that there were prayer mills all around. You have to turn them when you pass and it will cleanse your should (or so). Whatever the reason it felt good doing it. Like a mantra. So instead of saying “om” like the Hindus, one turns the mills. 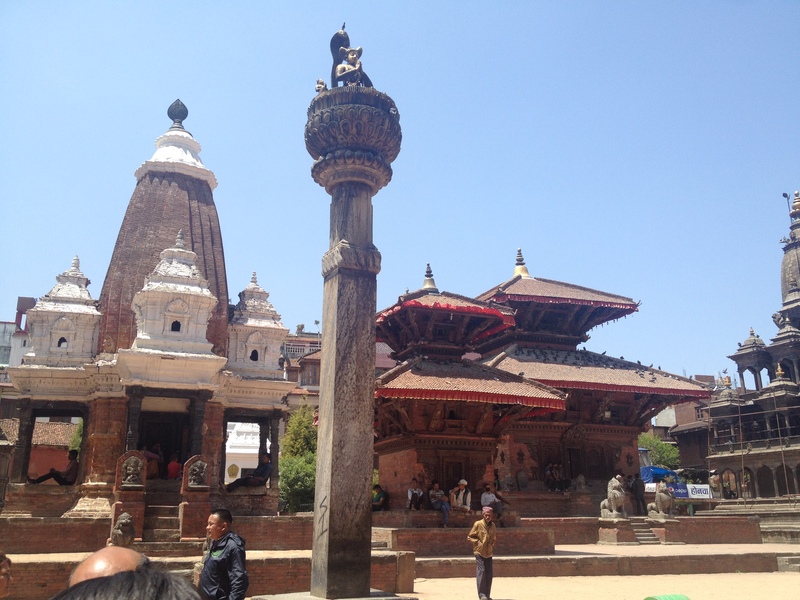 We slowly made our way around the stupa and sneaked a peek inside the temple. Lots of candles and a big Buddha statue were inside. Outside we saw people getting a Teeka, the traditional blessing on the forehead. All around were dogs, mostly sleeping and resting in the sun. As we would later learn the dogs here are sleeping during the day and barking all night long. Most of these dogs are stray but look well fed. 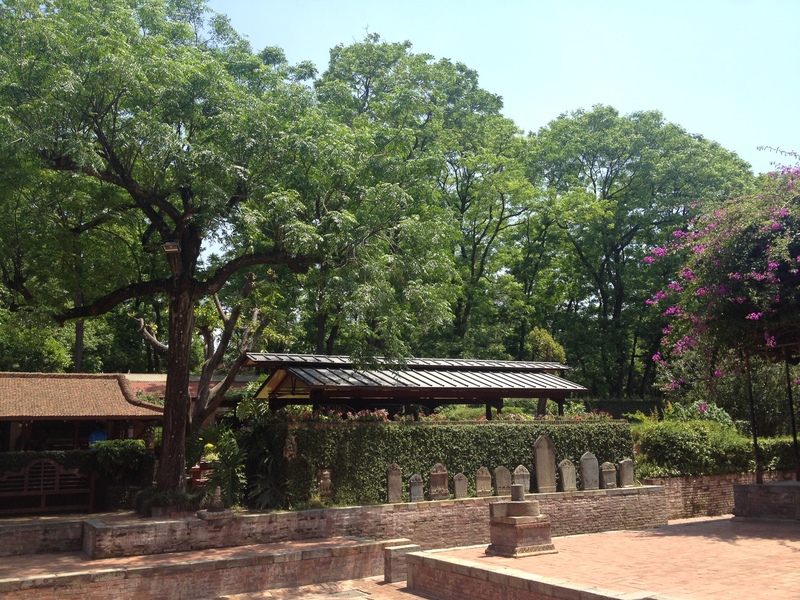 We finally exited at the main entrance, decorated with lots of buddhist prayers flags. 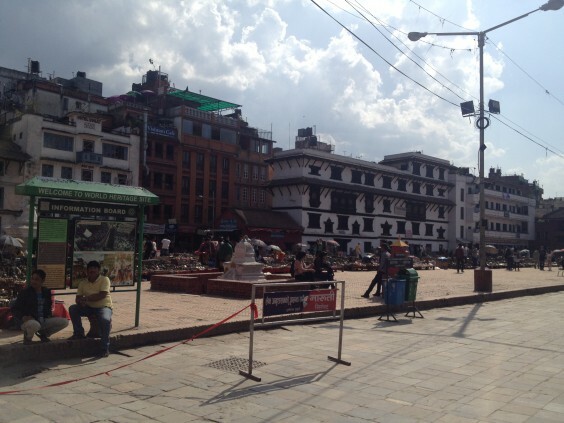 From there we drove to Patan, the second royal city of Kathmandu valley. There are three royal cities all in all founded by three brothers. Their positive competition is appreciated now by the tourists. 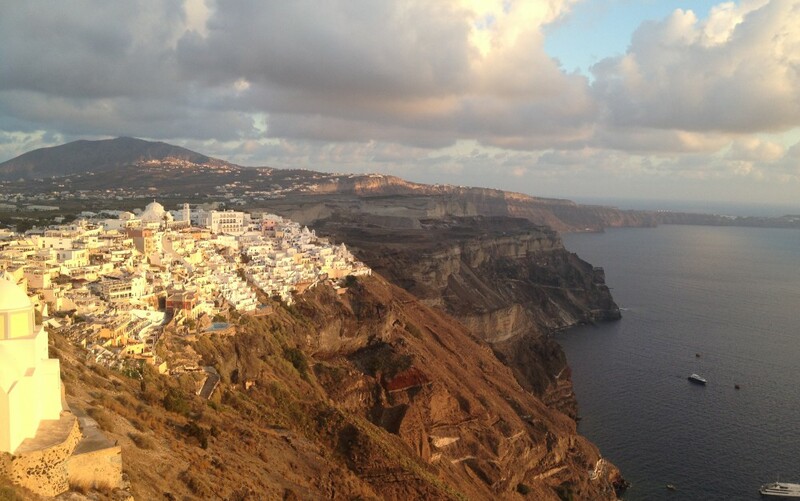 The kings by the way are always residing on top of a pillar overlooking their grand achievements. 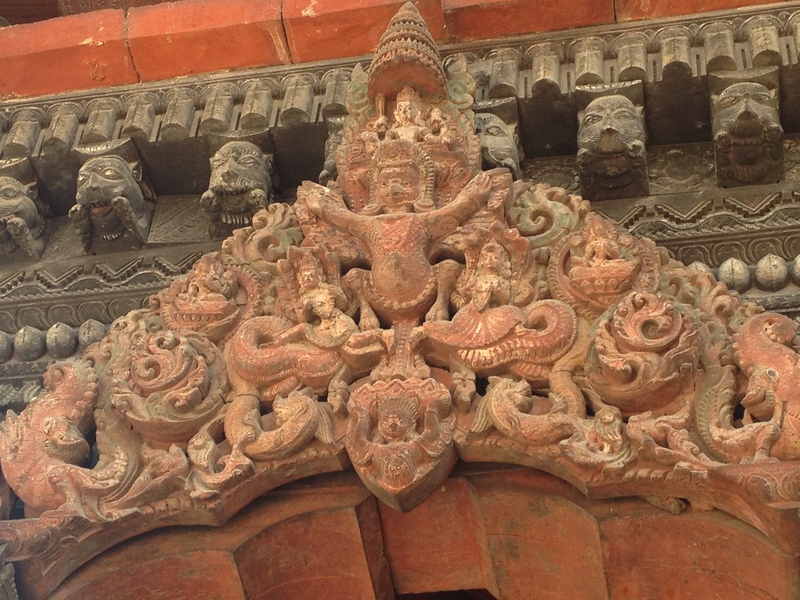 And here some more details from the buildings. 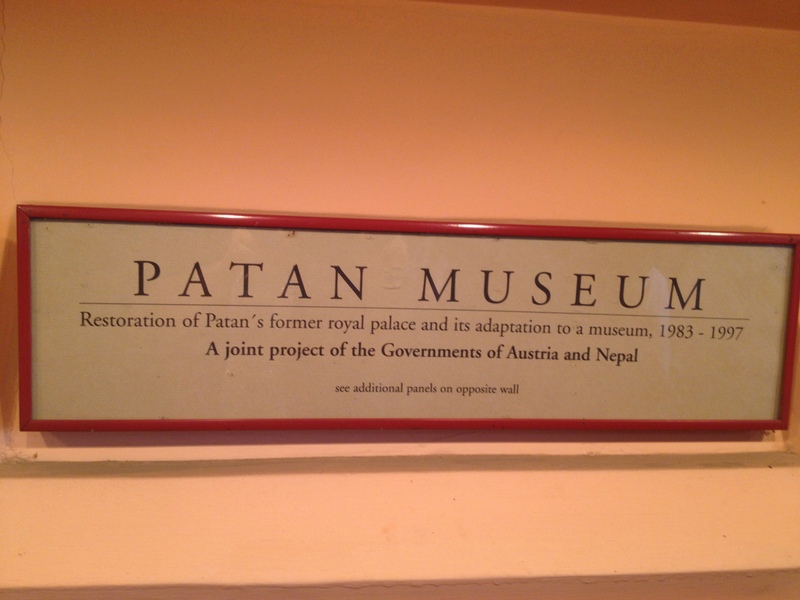 Then it was finally time for short break and we had lunch in the garden of the Patan museum which was restored to its former splendor with the help of the Austrian government. 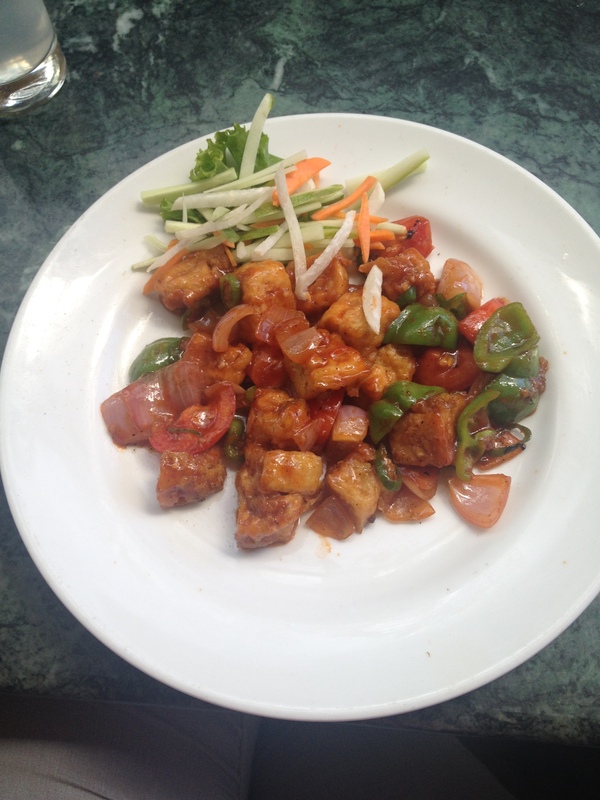 We tried momos again and fried chili tofu. 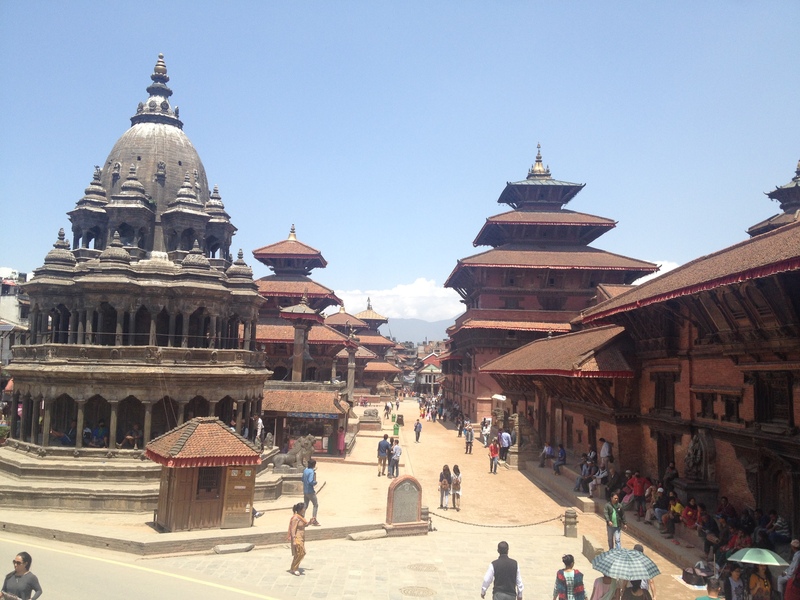 One last look at the Durbar square in Patan and then we were on our way back to Kathmandu. 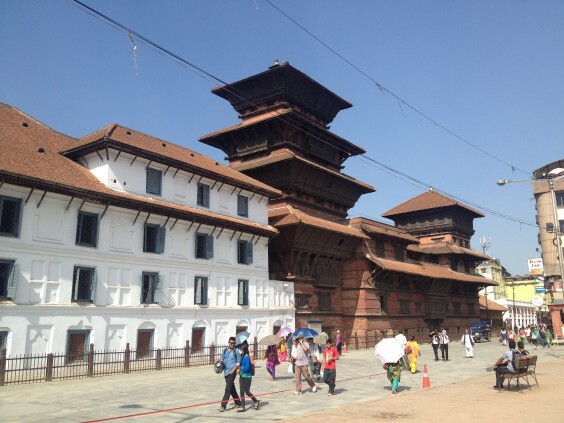 There we were let out at the Durbar square (all royal cities have their own Durbar square), paid our entrance fee (or rather the guide did) and we started with the last part of the day. 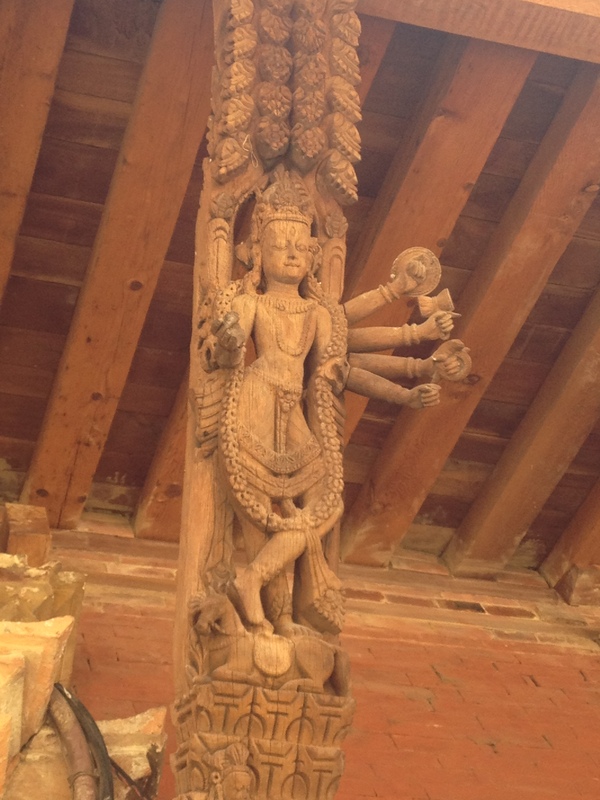 Also very impressive and full of vendors and at the end of it all the house of the Kumari (a child goddess). 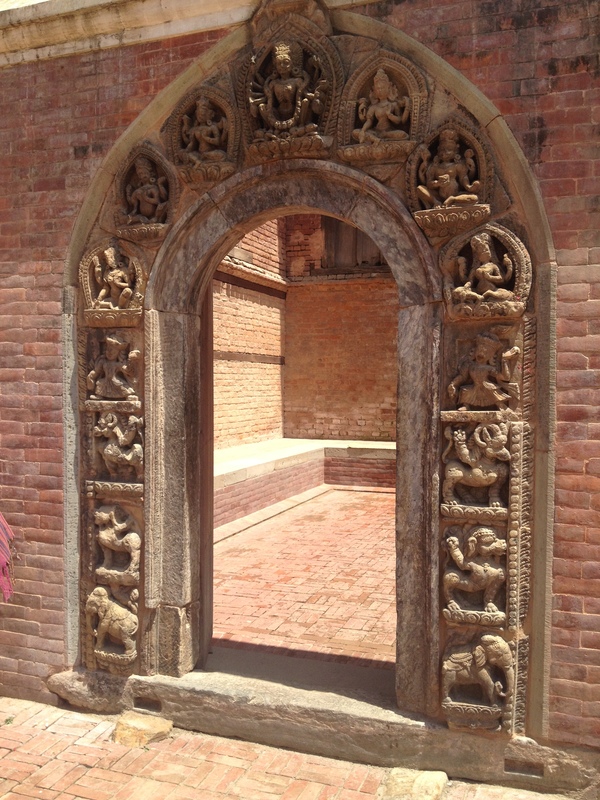 A quick peek into the house of the Kumari told us that she was not there and we moved on to king’s palace. 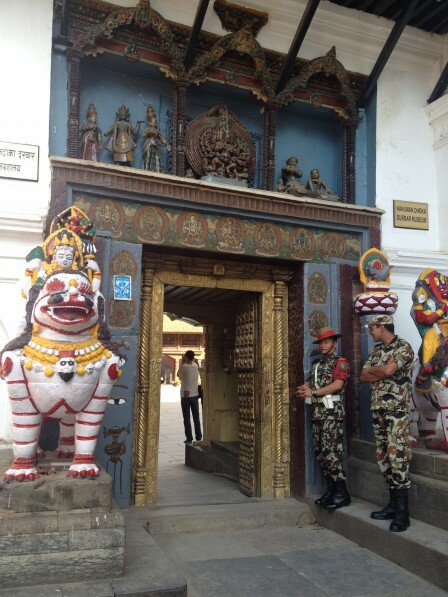 The very popular King of Nepal was murdered by his son the crown prince and then his disliked brother moved onto the throne from which he had to abduct in 2008. Our guide asked us if we wanted to take another look around but we were tired after this super long day and ready for a break at the Tibet Guesthouse. We had a nap and then later went downstairs for tea and to meet Progress to get our trekking permit. Although I wanted to go outside for dinner, Progress convinced us to try the local Dal Bhat at the hotel. It was an excellent choice and shortly after we fell exhausted into our bed. *All pictured taken on April 23, 2015. 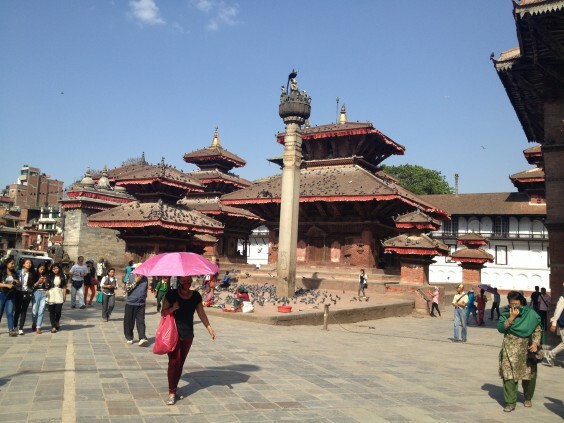 This entry was posted in Travel and tagged Dal Bhat, Durbar Square, guided tour, Kathmandu, massacre, Nepal, Patan, Royal Palace, Stupa Swayambhunath, Tibet Guesthouse by Pollybert. Bookmark the permalink. looks like a great trip! please add more descriptions to the photos so I know what is what! the “lady” in red is she the child goddess? Actually no, it is not allowed to take pictures of the Kumari. 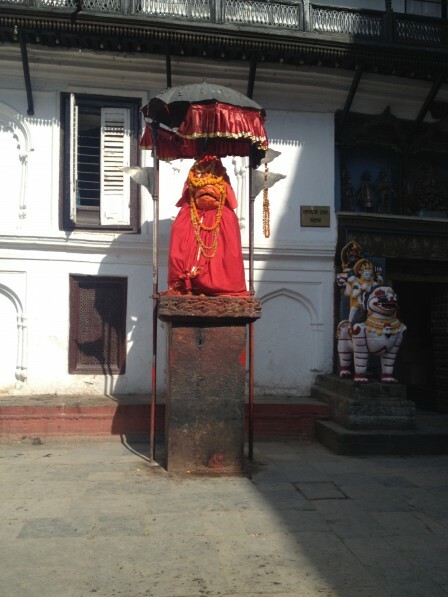 The “lady” in red is some kind of monkey god. 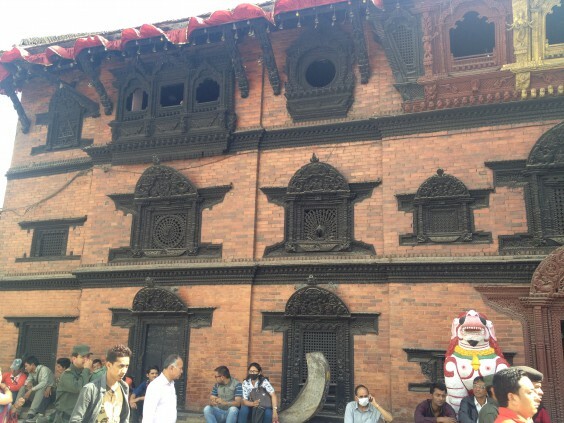 In front of all palaces we saw such a figure. Can’t tell you more about it because by then I was basically overwhelmed by the whole thing. But will try to add more inscriptions. 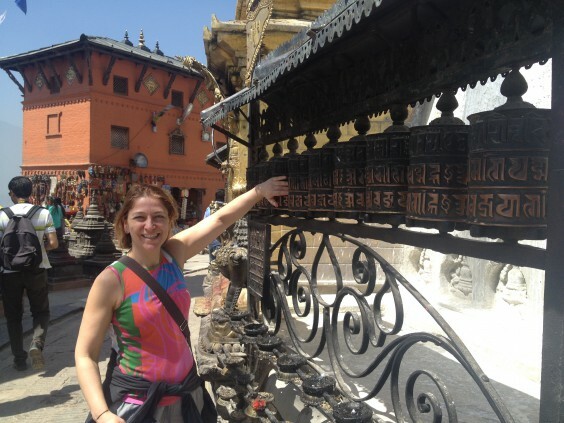 Austria and Nepal! So cool. Also the food looked incredible! Those dumplings… mmmmm. 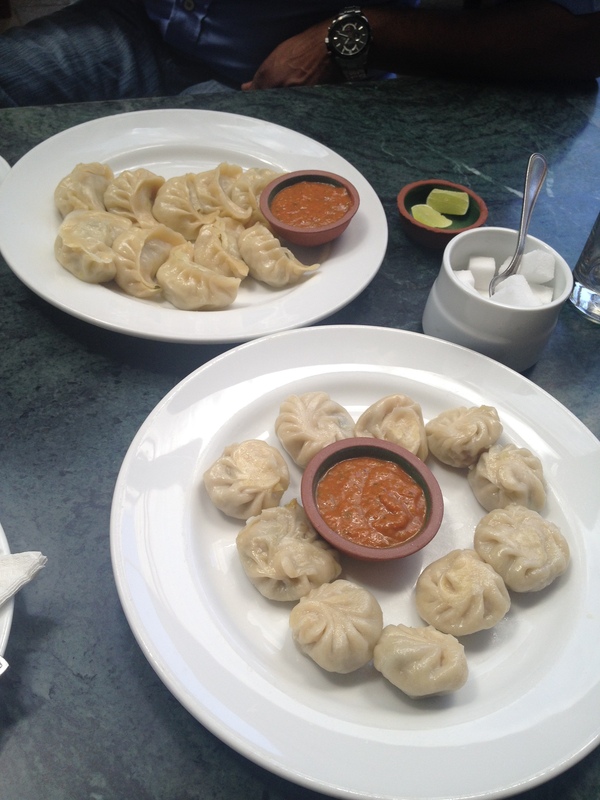 The momos are lovely, maybe there is a Nepali restaurant in Montreal?